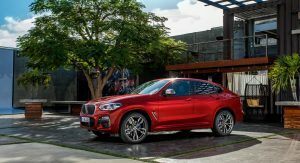 BMW will showcase the new 2019 BMW X4 M40i M Performance -that’s a short and simple name- for the first time in North America at the upcoming New York Auto Show on March 28. 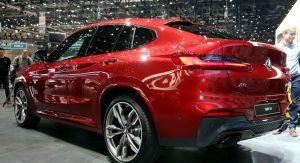 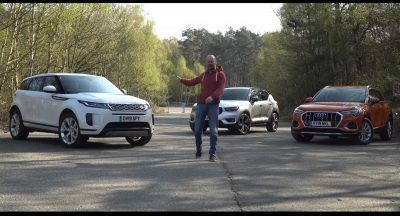 The sportiest version of the new BMW X4 features wider tracks, a slightly more aggressive look, a lower center of gravity and better aerodynamics, as well as a more powerful engine. 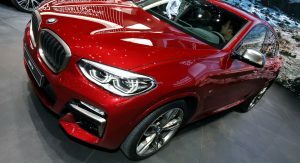 Look under the bonnet and you’ll find a turbocharged 3.0-liter straight-six unit that produces 355hp and 365lb-ft of peak torque. 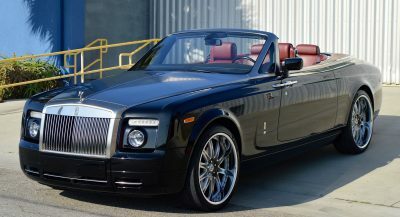 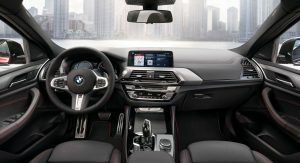 Paired to it is an eight-speed automatic transmission with launch control. 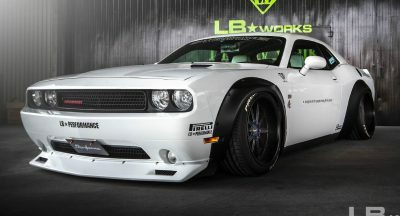 0-60mph comes in just 4.6 seconds. 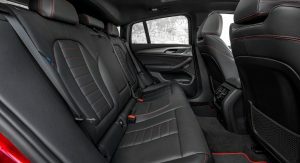 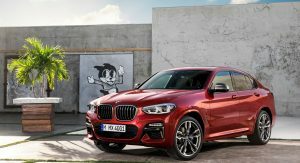 Each US-spec BMW X4 M40i comes with M Sport brakes and 19-inch light-alloy wheels fitted as standard, as well as a variable sport steering and an M Sport suspension with firmer springs and dampers. 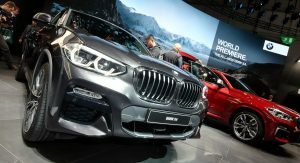 BMW also offers the Adaptive M Sport suspension as an option. 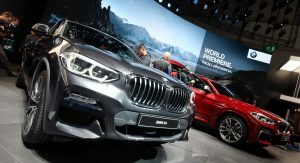 The M Sport brakes feature an “extra-large” master cylinder for better braking feel. 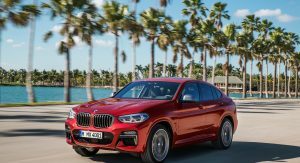 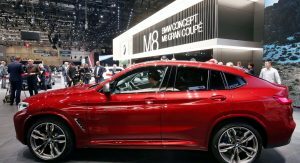 Sales of the new 2019 BMW X4 M40i will begin this summer in the US, with a starting MSRP of $61,445, including destination and handling fees. 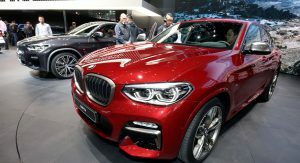 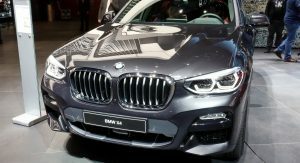 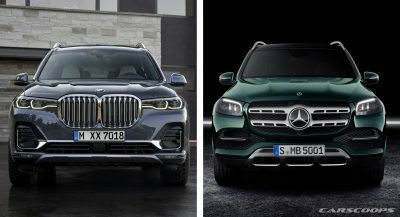 BMW’s New York Auto Show stand will also feature models like the new X2 and i8 Coupe and Roadster, as well as the BMW M5, i3s and X3.